Ireland Sale! Get 10% off tours to Ireland. Use code: IRELAND2019 Offer valid 8 - 19 April 2019. *Rate is per person, land and on tour air only, double occupancy. No detail was unattended in our China tour. Link, our tour guide, was phenomenal!. He is Collette's greatest asset in China!! The terracotta warriors was a highlight. Eight thousand clay figures with individual faces! A true wonder and testimony to China's splendid history. I thought the Collette had a top rate guide manager. Link Lee was on top of every little detailed. He made the trip for me and my husband. The accommodations were good. And the total agenda was good. There was enough time to relax and because of our guide we didn't have to wake up early for our flights. He went to the airport ahead of us and checked in our luggage. Saved us sleeping time. I liked going to the Great China wall, terra-cotta soldiers, the cruise on the Yangzi River and Li River, Pandas, Xi'an City. Our trip Wonders of China was educational and fun. We had an outstanding tour director in George Pu. George brought his love of his country to us in the food he introduced us to, the history he presented, the happiness of the Chinese people, and the beauty of the country. We had a jam packed itinerary filled with “the wonders of China” all with smooth transportation connections and individual care. Made travel throughout China interesting & easy. Our Tour Manager "**** ***" created a "**** Family" - made it fun and did everything he could to make our trip special. 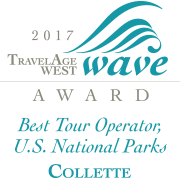 Our first 'escorted' tour - we are well-traveled and did research & chose Collette because of its reputation and quality of service and hotels, etc. The tours were great - the Shanghai Hotel - terrible. It was a 4 star or 5 star - we know the # of stars may not equate to property in the USA or major tourist spots like Italy, Australia or United Arab Emirates (Burj Al Arab) -But, the Shanghai Hotel should not be on your list - very dirty carpeting (were told not to walk barefoot in the room use the slippers provided - what was on the floor? ), moldy bathroom - etc. Unacceptable - if we had known how bad it was - we would've booked a room at the Marriott/Four Seasons however, this would have made it difficult to stick with the tour transportation. Other hotels were fine. Victoria Cruises an absolute delight. No more Collette Tours for us! Collette took 40 on our tour: too many. Collette endorsed the shops we went to. At the Shanghai Silk Museum, after the silk worm demonstration, we had only 15 minutes to purchase scarves & comforters. (We we’re told not to purchase silk scarves anywhere else, because they would probably not be 100% silk.) We requested a King size comforter; when we got home, it measures 87” by 96” which is NOT king size. I called Collette Service many times; finally, Sally returned my call and said there is no recourse through Collette. So obviously Collette does not stand behind the shops it endorses. We will NEVER take another Collette tour. The Silk Comforter we purchased from Shanghai Silk Museum was NOT king size, as it was purported to be. Hello Mollie, thank you for bringing this to our attention. We appreciate you and value your insight as it helps us to improve our tours for future guests. Excellent tour Mgr. Fabulous itinerary. The Great Wall of China and the Terracotta Warriors. The guide was excellent. The hotels great. Would have been better to know not all excursions were included. Enjoyed all excursions. I'm glad we didn't take the later trip because it was a national holiday which would have been crowded. Just a fabulous tour, extremely well planned and Jay(tour guide) was great! Everyday was better than the last one. The highlight was the cruise. Great trip, great guides, great hotels, great tours, really great. Best tour director I have ever had during my 60 years of travel! *Personal information removed by Feefo* was simply fantastic. He even managed to obtain me a new suitcase when mine was damaged. The local guides were all knowledgable and most professional. The hotels were fantastic although I really do not like buffets which is what we always had for breakfast. The family style dinners were fun and good. The tour it's self as just right. The tour manager was excellent as was each of the city guides. The tour was physically more challenging than I expected. This should be explained before people go. I have physical limits and the climbing of the stairs was almost more than I could do. I loved the tour. The tour included places I have read about all my life and the fact I was actually there was almost overwhelming. An interesting and exciting trip. We've traveled with Collette a few times because they make sure that the customers are well taken care of by the tour manager. We feel safe and informed throughout the entire trip. We were happy to do this trip because it covered a lot of China for the price. Our tour manager *Personal details removed by Feefo* was excellent and the guides were informative and friendly. The only thing was that most of the time we had to purchase gifts and souvenirs where the guides took us. We were not able to compare prices. At the terra cotta soldiers by building 2, there was a wonderful shop full of different things to buy, However, there was no time allotted to shop there. We needed to go to the terra cotta factory where we were followed by sales people almost hounding us to buy their furniture. At times the tour was so full of things to do that there was no time to rest. Still it was a great trip. We covered so much of China. We saw the mega cities, had a bus ride through the rice fields and countryside, and went into small villages along the Yangtze River. The itinerary was for the most part excellent. Though I thought to much time was spent in several localesmall. Specifically in Shanghai and Beijing. I cannot say enough good things about our guide *Personal Details removed by Feefo* He was extremely knowledgeable, helpful going well above and beyond what I expected and have experienced with other guides. Did not rate as 5 stars as I felt to much time was spent in Shanghai and Beijing other than that the tour was excellant. Customer service was very good before departure. The guide (personal details removed by Feefo) was very nice, although I sensed too much tension in him. All the guides talked too much. They believe that being a good guide is talking a lot. The quality of food was poor. Restaurants of low quality. I thought you were going to take us to places were we would have choices. The only good food was the dumpling diner. And you can tell about the food quality by the bathrooms. Very dirty and smelly. I think the guides should consider stop every 2 hours to allow us using facilities. There was no time for shopping. In Xanghai, I mentioned that a friend told me about the Pearl Market in Beijing to buy pearls and (personal details removed by Feefo) told me that the 2 last floors were closed. So he took me to a pearl shop extremely expensive. And he was lying because Imwent to the pearl market and the 2 last floors were opened. By the way, all the places that the tour took us for shoping were highly expensive and where they could get some advantage. I hate lies. The service at the cruise river was really poor. Personnel was poorly trained. Thank you for sharing your experience with us. We apologize for the service and accommodations you experienced while on tour. We have passed your feedback along to our tour managers and product team for review. They will use your insight to improve the tour for future guests. We appreciate you and look forward to traveling with you again soon. The tour was well organized and the guide was very attentive to the needs of all of the tour members. Our tour guide *personal details removed by Feefo*was incredible, he handled all situations that arose with absolute professionalism. He was entertaining on the long trips and very knowledgeable of china, and it colorful history!! Other than that, the rest of the trip was fantastic as well. I appreciate Colette having such a great tour, it was well planned and gave us the perfect amount of activities mixed with free time. I will use Collette again and would recommend your service to anyone that asks! All of the pre-trip information provided by Collette was very helpful also and much appreciated!! Thank you!! Everything was great and well planned!! They answered all my questions in a nice manner. We were supposed to be on the 9 day tour but my wife didn't get her passport on time. Collette helped us onto this tour and it couldn't have been better. The extra cities and experiences were absolutely amazing. We really enjoyed the cruise up the Yangtze. Wonderful trip and well organized by your guide, Julia. She is incredible. The itinerary was too jampacked. I would have appreciated some relaxation time and if you were early mornings. Terracotta Museum my favorite. All were special. The trip was awesome! The problem was in tipping. The trip was costly enough, but then we had to spend approximately $400.00 in tips! That is completely outrageous! This will deter me from taking any more trips through Collette. I will also not recommend your company due to this added expense. The tour was great! The highlight had to be the Great Wall of China! Our Tour Manager was excellent we could not fault her. The tour although quite busy was very good and gave us an insight to China. The only thing that I would say that if you are not good at climbing steps then a few of the tours are not for you. Great team! Our tour guides were great, helpful, knowledgeable, friendly, accommodating! Very very well organised and executed with good guides throughout all held together with an exceptional tour manager in Julia Zhu. I think having a small group (22) was a real blessing. Tour had everything in it and went like clockwork. terracotta army and great Wall were awesome and a "must see" event. Collette really did know how to get everything into the schedule I would have no hesitation in recommending them. 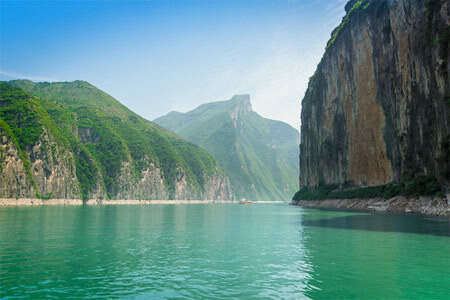 Experience China's marvels, and tour the ancient, modern, rural and cosmopolitan on a journey featuring a scenic cruise along the Yangtze River. 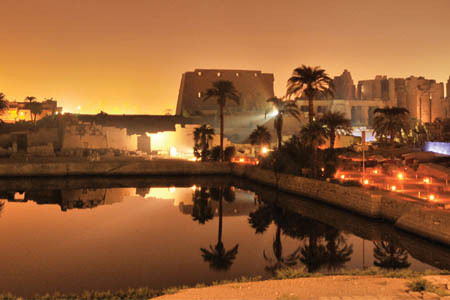 Travel to the ancient land of Egypt to discover the beauty and legends of the Nile River and the wonders that line its shores. 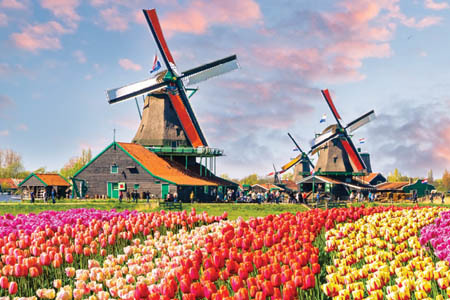 Savour springtime in Holland and Belgium on a cruise that is sure to leave truly memorable impressions. Winding waterways lead you to such well known Belgian cities as Ghent and Antwerp. 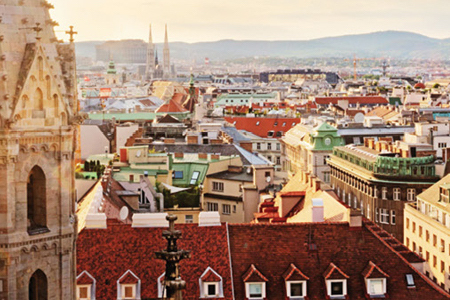 Experience the stunning region of central Europe at Christmastime. 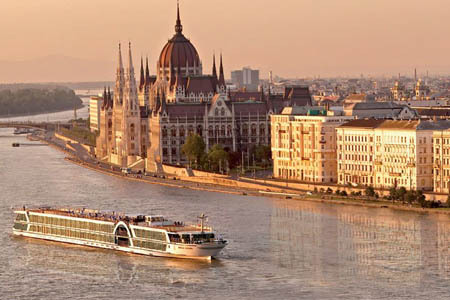 Enjoy the charming Christmas markets and a relaxing boat cruise along the Danube. 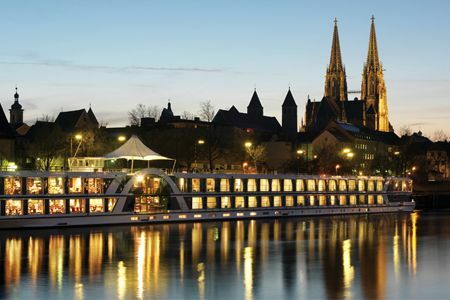 Cruise past breathtaking scenery, stop in quaint villages and lively cities, and see a spectacular performance of the Oberammergau Passion Play, all on a trip down the Danube River. Single accommodation are limited and are available on a first come, first served basis. The order of sightseeing may change to best utilise your time on tour. The trans-Pacific and internal flights on this programme are not included in the land price. All air including internal flights can be purchased through us. Triple and child accommodation are not available. Itinerary is subject to change due to unforeseen changes in water levels and other circumstances that may arise along the waterways. These changes may result in certain sites from the original itinerary being missed during the trip; however, every effort will be made to substitute for another attraction if possible. Gratuities for cabin stewards, bus boys and waiters on board the ship are not included. Coffee or tea is included with all meals. Bottled water and juice are included at breakfast. Bottled water and a soft drink are included with lunches and dinners. All guests will be confirmed in Balcony cabins during the cruise portion of the tour. A visa is required for this tour at your expense. The approximate cost is $130 AUD. This should be organized in advance from the Chinese Embassy in Australia. Rates are approximate and subject to change. The internal flights are included in the land cost of your tour. One bottle of water is included, per person, per night at all hotels. Additional water will be provided whilst sightseeing. Meals on board the ship are a mix of Western and Chinese cuisine. Please be aware that if your flight schedule is via Dubai or if you are stopping over in Dubai and are carrying narcotic drugs, controlled or semi-controlled drugs, then you will be required to complete an electronic form prior to entering the country, to obtain approval to carry medication. Please use the link http://www.mohap.gov.ae/en/services/Pages/361.aspx to view the guidelines. A user's guide is available to explain the application and the supporting documents required.